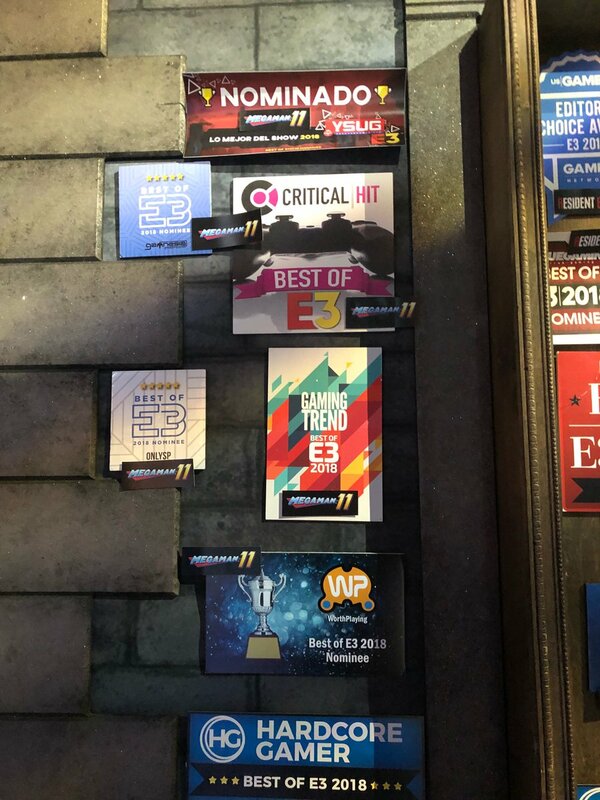 E3 has come and gone, and to our delight, Mega Man 11 is walking away with seven best of show nominations. The above image comes to us from Mega Man 11 producer Kazuhiro Tsuchiya. He tweets, "I thank all the people involved in E3. I am happy if you favorite Mega Man 11." In other words, he's very humbled. I've kept tabs on Mega Man's E3 presence for several years and let me tell ya, this is a first. Congratulations on a great E3, Tsuchiya! We can't wait to play the game! Wooo!! That's a first indeed! I am so getting Japanese version - Rockman 11 because I love their arts over America. So what? That isn't even the topic of this article. I mean, what exactly is "best of show" nomination? What I meant is that. does it have any impact other than being "hey this game was pretty good at E3". When people go crazy over trailers with only a title. E3 was very good this year! My personal highlights were Smash 5, Halo Infinite, DOOM Eternal, RAGE 2, and of course more of Mega Man 11. I agree. It is not like MM11 was having any hard competition in the first place. A lot of cinematic experiences and other soulless stuff gameplay-wise in this E3. Pleased by all this MM love.